This Summer I worked for the Washington State Department of Health in the Office of Communicable Disease Epidemiology. 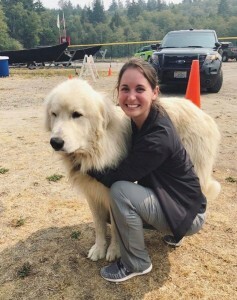 I served as project manager for the Port Gamble S’Klallam reservation Rabies vaccination clinic, which is an annual two-day Rabies vaccination clinic for dogs and cats living on the Port Gamble S’Klallam reservation. Rabies is an important public health concern on the Port Gamble reservation because bat-variant Rabies is endemic in Washington State and most of the cats and dogs living on the reservation are free-roaming and are not regularly vaccinated for Rabies. Because it is difficult to assess and prevent Rabies prevalence among wildlife, vaccinating domestic pets living on the reservation is a feasible way to protect both humans and animals from bat-variant Rabies. Photos and vaccination information of all vaccinated animals were also added to an existing database to be used as a resource by the Tribal Police in the event of an animal bite. Lastly, the clinic also served as an educational tool to teach community members about veterinary care and safe human-animal interaction. How did your project support the human-animal bond? 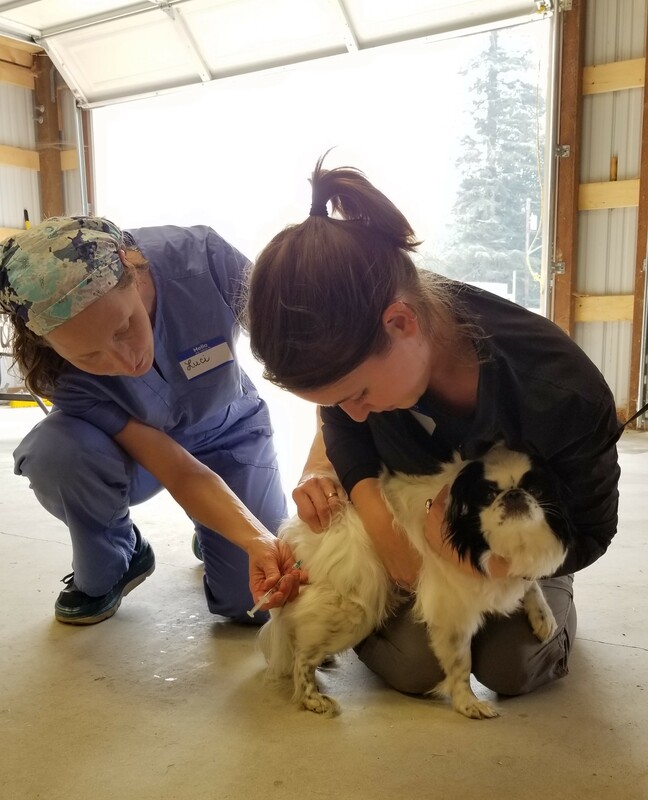 The Port Gamble Rabies vaccination clinic advances the human-animal bond because it creates an environment where community members can safely interact with their pets. Vaccinating domestic animals living on the reservation and creating a subsequent health record is not only a helpful resource in the event of an animal bite, but it also more cost-effective than dispensing post exposure prophylaxis (PEP) to a human that is bit or testing an animal for Rabies. Even more so however, the clinic is an invaluable educational tool that engages community members to consider their own health as it relates to their pet’s health. In this sense the clinic is One Health mission driven because it recognizes that the health of humans, the health of animals, and the health of the environment are all connected. How did your project impact your experience at Tufts? As a current Tufts DVM/MPH student, this project serves as my public health field experience and directly relates to my professional goals. This project has given me hands-on experience working for a historically mistreated and underserved community through the lens of a public health agency, which will be invaluable as I begin to interact with clients from all backgrounds. I was fortunate to collaborate with tribal partners in every step of the planning process and am grateful to my colleagues on the reservation for their mentorship and guidance. I learned how to work with a multidisciplinary team to implement a successful public health intervention and learned how to design, manage, and run a community event based on feedback from tribal members. These skills have deepened my cultural sensitivity and will inform my ability to think critically when facing complex problems. This project has shaped the way I view community-oriented primary care and has deepened my appreciation for the importance of One Health. TIHAI is grateful to the Elizabeth A. Lawrence Fund through the Center for Animals and Public Policy for supporting the Student Scholars Program.